We usually advise our clients to only agree to serve on a board if they will be covered by the company’s D&O policy, or purchase their own policy. D&O Insurance provides protection for officers, board members or executives of corporations and not-for-profit organizations. D&O insurance can aid in covering the costs related to defending certain types of lawsuits and can also help protect the organization’s name, reputation and resources. What Does it Typically Cover? D&O insurance covers broad areas of liability including claims for financial loss resulting from mismanagement. Why do I need D&O Liability Insurance? 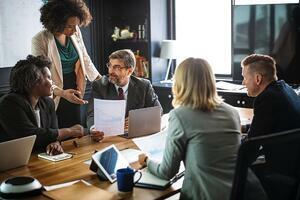 Without D&O liability coverage, the personal assets of the organization’s Board, executive staff and officers may be at risk if liability claims are made against the organization. Just defending a suit can cause profound financial hardship to these individuals. If you’re going to serve on a Board of Directors or as an executive for a company or non-profit entity, you should ask if they carry D&O insurance and insist on it being added. Have question about how you can protect your organization’s board and officers? Contact your Zinner accounting professional. Pay your Zinner & Co. invoice securely online.